One definition describes a pilgrim as being someone who journeys to a sacred place as an act of devotion. 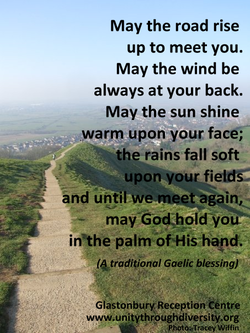 Pilgrim and pilgrimage are words that have carried many meanings over the centuries. The English term 'pilgrim' originally comes from the Latin peregrinus - meaning a foreigner, a stranger, someone on a journey or a temporary resident. Pilgrimage, as a wide-ranging topic, touches on many aspects of human existence. It signifies not only a physical journey to a special place but also an inner spiritual journey leading to a process of spiritual transformation, touching the deepest aspects of the human spirit. For some people, pilgrimage acts as a rite of passage; for others, it involves seeking spiritual and/or material rewards. 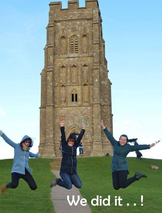 ﻿As a Medieval Christian centre of pilgrimage, Glastonbury is still recognised today by annual pilgrimages of the Anglican and Catholic churches, but these are one-day events and perhaps not typical of the classic pilgrimage of the Middle Ages. Alongside the Christian pilgrimages, individuals and groups from a wide variety of faiths and beliefs are drawn to Glastonbury. In fact, the one common factor that they share may be ‘a Call to Glastonbury’. Regardless of our backgrounds, we all have a common bond in the process of the spiritual journey that is 'A Pilgrimage to Glastonbury'. The start of any pilgrimage would be awareness by potential pilgrims that they needed to undertake such a journey. 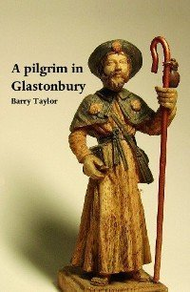 There is no longer a firmly established custom for making such a journey and instead, the potential pilgrim will have heard about Glastonbury from friends, books or the internet, which may have sparked the interest. The call to visit Glastonbury may be so strong that the potential pilgrim feels that such a journey is essential. Alternatively, they may think that it might just be an interesting way to spend a holiday. It is not always easy to tell the difference between pilgrims and tourists. Both may be found visiting sacred sites, and both may aim to prolong the experience or retain its benefits by recording their journey and bringing back souvenirs. In many cases, there may be no clear purpose as this is something that may only emerge as a journey progresses. It is not unusual that what was intended as a holiday turns into a pilgrimage and visa versa. some plans for the journey itself. In earlier times, the roads were difficult and dangerous and in most cases, the pilgrims would have sought a group of others to accompany them on the journey. They would also need to plan safe and reliable overnight stops on the way, usually in places set up to specifically accommodate pilgrims. In the past, there would have been a clearly established pattern to the journey. One example is the pilgrimage to Santiago de Compostela in Spain; this pilgrimage has clearly defined maps of the roads to be taken and the recognised rest points at one day’s walking distance apart. Our contemporary pilgrims visiting Glastonbury will have no such clear plan to follow. On the other hand, they have a wealth of information on the internet that was not previously available, such as flights, buses, trains, hotels etc. They also have this website and Glastonbury Online to help them plan the journey. Our pilgrims of yore were not so fortunate! 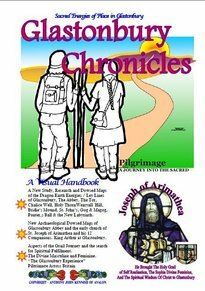 ​The journey itself was a vital part of the whole pilgrimage. It could take many days, if not weeks, and provided an opportunity for meditation and reflection. ​On arrival at their destination, pilgrims would be greeted by priests of the temple or other guardians of the sacred place. The welcome would include explaining Information on accommodation and other essential details would also be offered. the process for completing the act of pilgrimage. Information on accommodation and other essential details would also be offered. Unlike sacred places devoted to a specific religion, Glastonbury is a place where a multitude of spiritual paths are represented. The result is a huge variety of shops, courses, workshops, healers and specific sacred sites, covering almost every possible spiritual path. This openness to all paths is one of the attractions of Glastonbury, but it can be very confusing to the first time visitor. 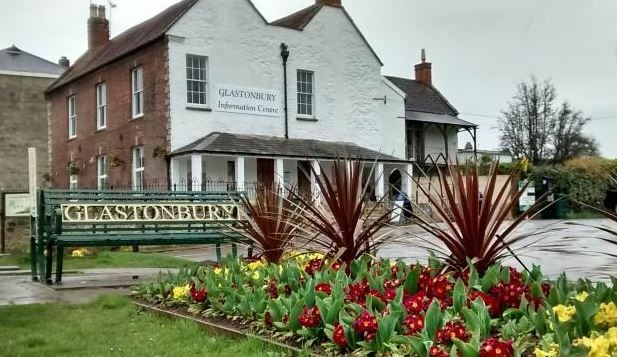 In 2007, the Glastonbury Pilgrim Reception Centre was set up to help and support pilgrims and seekers in finding information and resources relevant to their spiritual journey.﻿ In 2017, it merged its services with the Tourist Information Centre and the Glastonbury Town Council Information services, all under one roof. Some kind of ceremony would mark the completion of the journey. ﻿In the days when Glastonbury had a thriving community of Benedictine monks, it would have been possible for the pilgrim to play a part in the life of the Abbey. This was a huge enterprise with its own farms, workshops, library and a whole range of other activities with the pilgrims who chose to stay for some time would have been able to join in the life of this community. Today, there is no longer a living, working Abbey. There is however, a thriving and active community of resident pilgrims. This community contains an extraordinary number of artists, writers, musicians, therapists and creative people of every sort. The contemporary pilgrim visitor who wants to stay for some time in the town will very soon find a way of making friends with people of similar interests. In most places of pilgrimage, there are resident attendants or guardians who look after the special places, tend sacred fires and receive offerings and gifts from incoming pilgrims. The cost of looking after these premises are usually met by gifts from grateful visitors. Before the Reformation, all the buildings were looked after by the Abbey with the town, and its supporting services, complementary to the Abbey. Now, we have a town of some 10,000 people which is both a market town and a town of pilgrimage. There is no one coordinating body, rather a multitude of individuals who run their own businesses and projects, many of them in a role of stewardship in which they care for our special places with some welcome support from our visitors. The individual enterprises are, in the main, looked after and supported by their own activities, whether they are selling goods and services or by donations and support from the community. This is a totally different way of working from that of the Middle Ages but one that is representative of the new way - what we might call the Aquarian Way - where whole communities are starting to work together. However, should a visiting pilgrim wish to help support places such as ourselves, a donation will always be warmly received. By doing so, you would be following in a tradition of ‘making an offering’, thus helping the Centre to continue to support present and future pilgrims. Why not call into the Centre and sit with the Glastonbury Unity Candle for awhile? You could also obtain your own and ask the Companion on duty if you could light it from the Mother Candle which resides in its own special space in the Centre. On your return home, your candle will allow you to continue making a connection to Glastonbury and remind you of all the things you experienced and learned. In the past, the return journey would have been as leisurely as the outward journey, giving ample time to reflect upon the whole experience, but this is not often the case with modern transport. It might therefore be helpful to spend one or two quiet days, once home, in order to contemplate and absorb what has been learnt. The journey of pilgrimage is a symbol in action and for many, it can have profound and lasting effects. The processes we experience can lead us to a better understanding of our place in the world and our own connection to Spirit. Common effects of pilgrimage can be the solidification of something that is growing in us and brings answers to our questions. Our sense of well-being increases, allowing us to explore deeper into the meaning of our own lives - this ultimately bringing about a process of transformation bringing us nearer towards the goal of realising our own full potential. The publications below are available in the centre. Please contact us if you would like to obtain a copy via postal services.